The Premier League pair Liverpool and Manchester City are reportedly battling Paris Saint-Germain for the signing of key Napoli man Lorenzo Insigne. An Italian newspaper La Repubblica, as cited by Sport Witness, reported the previous month how Jurgen Klopp’s men had seen a massive €70 million (£61 million) offer for the Serie A star rejected in the January market. Reports have claimed that Jurgen is looking for a classical No.10 to fill the void left by the Brazilian star Philippe Coutinho’s departure to La Liga side Barcelona the previous January. Liverpool saw a deal for the French-Algerian star Nabil Fekir break down last summer window, and it has been claimed that the talismanic Partenopei star is now Klopp’s prime target. According to the latest report from La Gazzetta dello Sport, the Citizens, the Parisians and Anfield outfit are prepared to capitalise on the situation should the trio get a positive sign from super agent Mino Raiola regarding his client’s potential exit. The club captain is reportedly rated at more than €100 million by Napoli owner Aurelio De Laurentiis, who has no plan to sell such an influential player with club unlikely to replace him with a suitable replacement. Lorenzo has had a mixed time recently at the club, having missed a penalty versus Juventus the previous weekend and being dropped for their midweek Europa League match with Red Bull Salzburg. 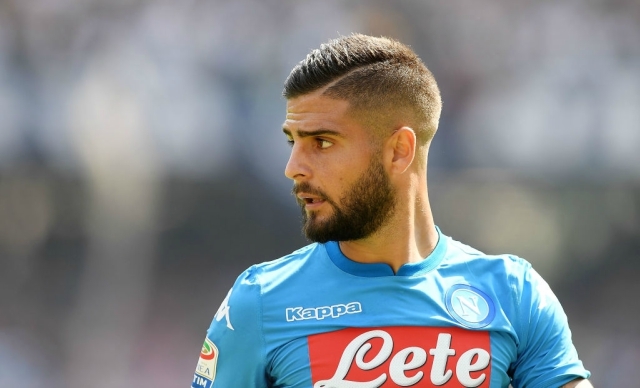 Italy international Insigne came through the ranks at Napoli but was loaned out on numerous times: Cavese (from January 2010 to June 2010), Foggia (2010-2011), Pescara (2011-12).